After the liberation of the Greenreef islands, Elias has returned to the mainland of Lonwick, a new purpose burning in his heart: hunting down and killing the Felle general who murdered his love and purging the land of the scourge that is the Felle. When he returns, he finds that the war brewing to the south is on the verge of erupting, and his allies back home have found themselves in dire situations. Can he muster the strength to build an army strong enough to find the vengeance he and his companions yearn for? Will the cost be too great? And what power lies behind the sudden emergence of the unholy Felle army? 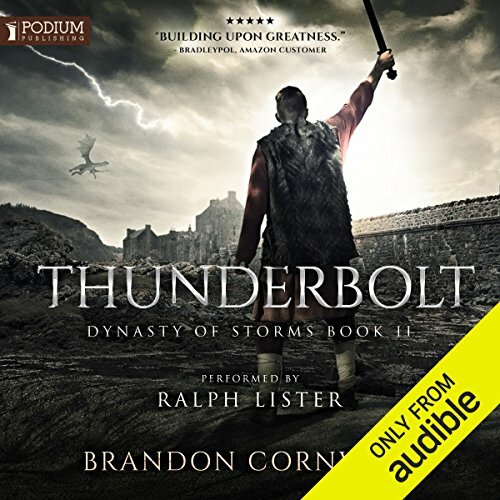 In the second book of the Dynasty of Storms saga, Brandon Cornwell brings us back to the mainland of Erde to follow Elias of Stromgard as he forges a path through ancient forests, burning caverns, and wintery mountains. Challenges await and dangers lurk on his quest to find Darius Tessermyre and put his head where it belongs - on a pike.